LISTINGS APPEARING ON THE PLACES4STUDENTS SITE ARE NOT ENDORSED OR GUARANTEED BY SETON HALL UNIVERSITY. SITE USERS ARE SOLELY RESPONSIBLE FOR THEIR CHOICE OF LANDLORD, ROOMMATE(S), AND RENTAL UNIT. · Confirm that listed properties comply with building, safety or fire codes. Users of the site contract with each other at their own risk. It is the user’s obligation to understand their legal rights, risks, and responsibilities. Before signing a lease or the Places4Students disclaimer or user agreement, read the terms and conditions carefully. 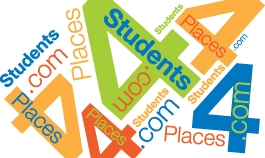 Be aware that Places4Students does not confirm any identities or the accuracy of any posted information. Be careful to evaluate the property, the landlord, and the safety and security of the surrounding area and any commute. Students are under no obligation to utilize this site. Other alternatives exist. Real estate agents can provide assistance in locating available housing for a fee, and listings can be found on other online sites.